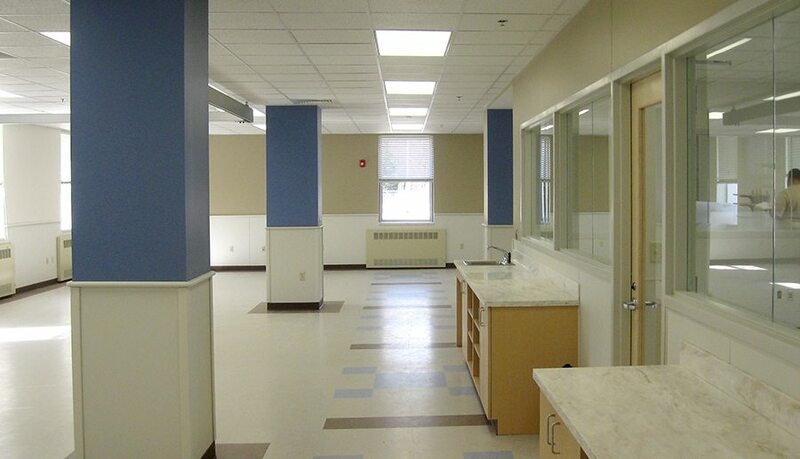 The project at Jefferson Barracks was a remodel of a 4,100 sf wing on the second floor of Building 52. 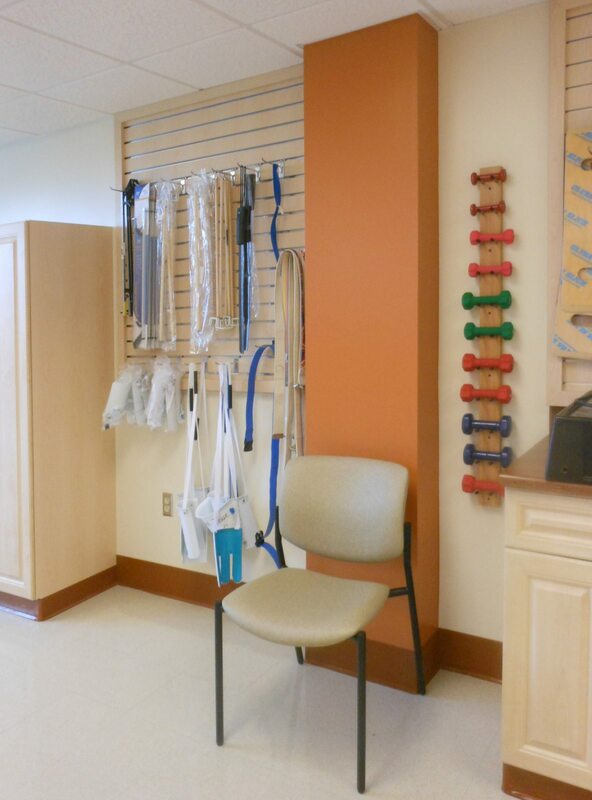 This renovation was designed to accommodate expanded growth within the departments of physical and occupational therapy for patients with spinal cord injuries. 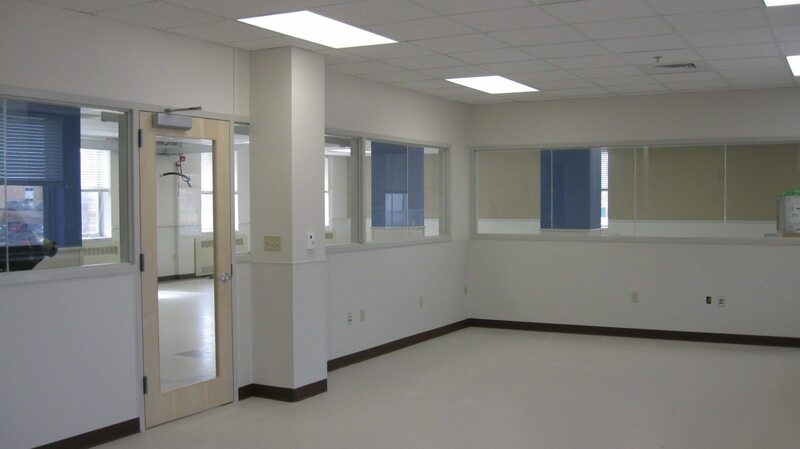 The staffing area for both departments has been designed to be in one centralized controlled space zone with a full view of all patients in the space. This is a non-sleeping unit with therapy mats and exercise equipment throughout. 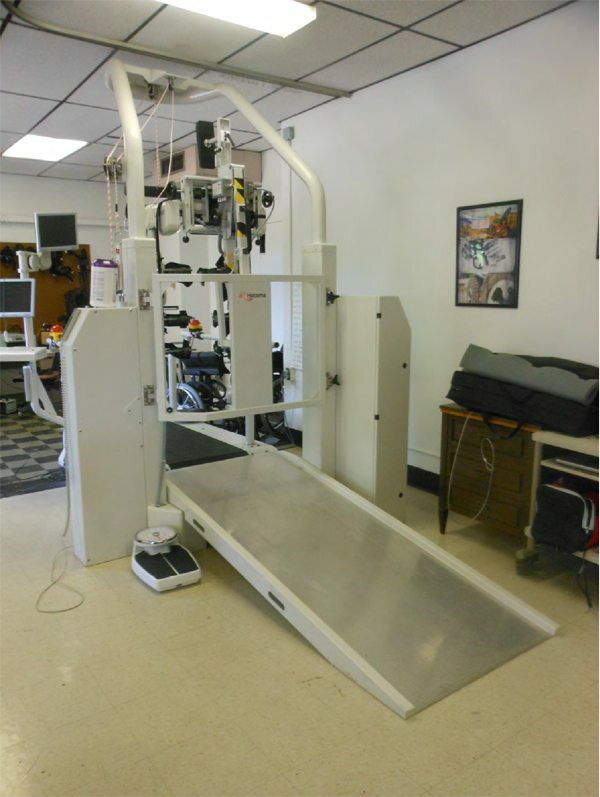 Overhead lifts are located above the mats to assist patients when needed. The majority of the equipment has been relocated from the location of their original departments. 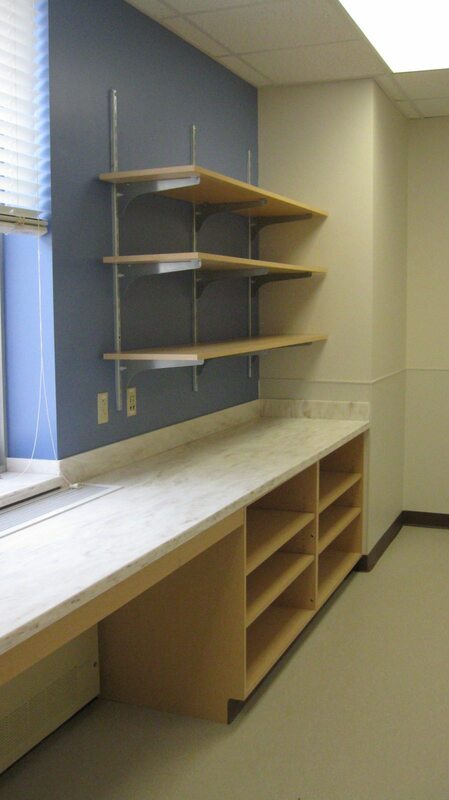 The new space has been designed with a working restroom and kitchenette to assist patients with their therapy.